The ProSure Group has an exceptional array of abilities combining over 100 years of experience and diversity representing over 30 of the best surety companies in the nation. This allows us to offer our partners with the best, most complete coverage of the marketplace - no matter the size, the situation, the obligation, or the credit and/or financial standing. By becoming our Partner – Agent/Broker, PSG can be Your Surety Bond Department and expert in your corner. *In order to qualify for our Agent Broker Program, you must be a licensed insurance producer in the appropriate state(s) you are operating. Why Partner With The ProSure Group? We Focus! - Surety Bonding is all we do! We provide the Best Available! – Rates and Programs - We provide the most competitive rates and programs available through our broad carrier base - standard, specialty and non-standard bad credit bonds - AM Best A rated surety carriers – U.S. Treasury-listed and appearing on the U.S. Treasury Circular 570 – many surety bond carriers rated A 15 by AM Best. We can handle them all! - We can handle all bond situations – from Extreme Competitive situations to Difficult and Hard to Place – We also have Exclusive Bad Credit Programs – for those that need surety bonds but have bad credit. We’re here for you! 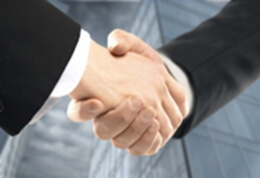 - Surety Experts Always Available to Assist You During Business Hours by phone, email or chat. We make it Quick and Easy! - quick, and hassle-free bonding process. In-house Underwriters: Makes for Quick Issuing of Most Bonds – most within 24 Hours, if not quicker. We’re Online! - Applications and Payment Options Available. We’re Generous with Commissions - All Bonds …including Renewals! - With No Minimums on Production. We don’t hide fees - NO Hidden Fees, Ever! We’re flexible in How We Work with You – It's Up to You! 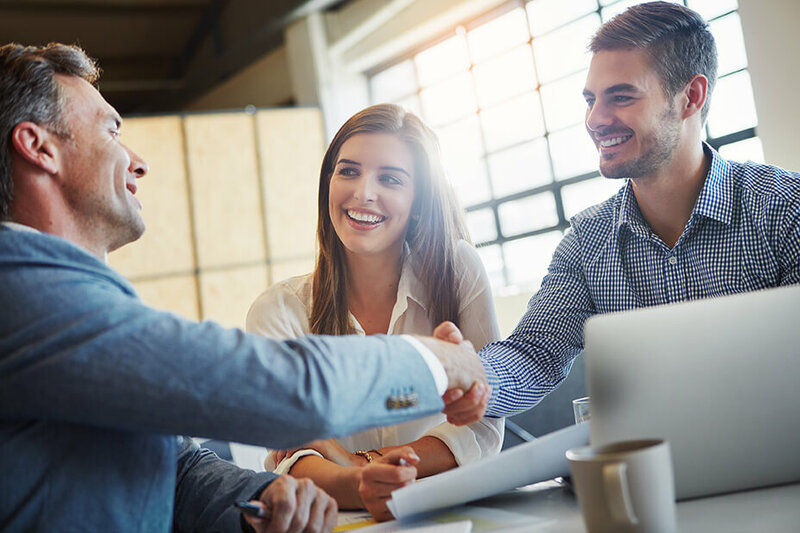 We Can Work through You, the Agent, or... We Can Work Directly with your Client -– And, of course - in all transactions we exercise transparency and integrity. Truly set up to be “Your Bond Department” – and an extension of your agency. Committed to giving Our Agent/Broker the Best Surety Programs Available… Anywhere! We were founded in 1993 by dedicated and highly experienced surety professionals. 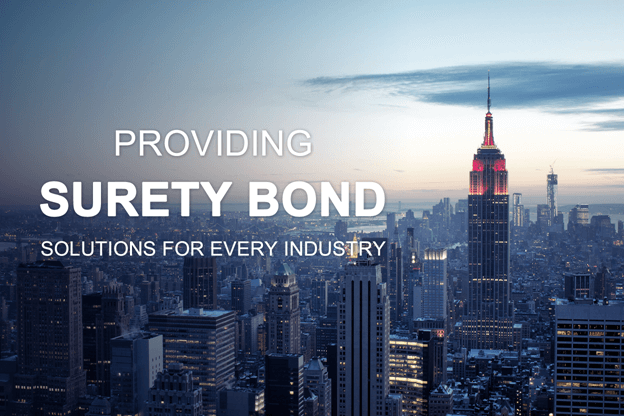 We employ surety experts that specialize in all areas of surety bonding and fidelity bonding to include construction bonding, contract bonds, license bonds & permit bonds, court bonds, and fidelity bonds. We have exceptional partnerships with the industry’s best surety carriers covering an extremely broad spectrum of expertise and appetites. All our carriers are A.M. Best Rated “A or better”. Our surety-only team members are dedicated bond professionals with over a century of combined, diverse experience in the industry - with surety carriers, brokers, re-insurers and MGA/MGUs. Our team members are specialized and focus their expertise in their primary areas - Contract Bonds, Commercial Bonds, Court Bonds (including Civil Court Bonds and Probate Bonds) and Fidelity Bonds. We are committed to technology and have invested and continue to invest in state-of-the-art technology to continue to streamline a sometimes confusing and complex process – to make it easy and efficient for you and your clients. It’s Super Easy - Partner With Us Now! Becoming an Agent-Broker is simple. Complete our Agent Registration Form to get you started. And…Feel free to send those bond requests! If you’d like, you can also call us (yes, we still use the phone!) at 1-800-480-3883 to speak with someone and learn how we can help you with your surety bond needs today.